A motorcycle shipping company is your best bet if you are relocating and need to move your bike to a new destination. Motorcycle transporters are experts at what they do and will be able to get your bike to its new location at minimal cost and minimal wear-and-tear to the vehicle. Importantly, hiring a motorcycle shipping company allows you to focus on other aspects of your move and leaves the task of shipping one of your most important assets, in the hands of professionals. Motorbikes can be fun to own and even more exhilarating to ride. To motorbike enthusiasts, there are few things better in life than being able to open their throttles wide and ride their bikes on empty freeways with the wind on their faces. As much fun as that might be, hauling a motorbike over long distances is an entirely different matter altogether. If your destination is hundreds of miles away, riding your bike there is impractical and exhausting. The greater the distance you travel on your bike, the greater is the risk of fatigue and personal injury, and the more miles you needlessly put on the vehicle. Motorcycle haulers typically transport your bike in an enclosed carrier that is customized to carry multiple vehicles. Some transporters haul motorcycles in open carriers as well. Most bike shipping vehicles are two-tiered vehicles designed to allow the transporter to carry up to 10 vehicles at a time. Your bike is loaded onto the vehicle and then secured in place with multiple straps to prevent shifting during transit. In some cases shippers, at an extra cost, are willing to crate and palletize the vehicle before loading it on a carrier to ensure maximum protection. Many bike haulers these days are satellite-tracked and give customers a way to track their shipment all the way to its destination. 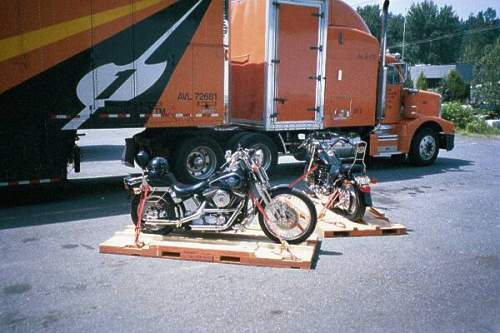 The logistics involved in having your bike transported by a motorcycle shipping company are fairly straightforward. Most bike transporters require you to make your shipping request at least one week to 10-days in advance of the day you want it moved. On the shipping date, the transporter will either pick up the bike as close to your residence as possible or ask you to deliver the bike at a mutually acceptable location close to your home. Before the bike is loaded the transporter will check for and note if there is any damage to the vehicle. Most transporters do not allow you to store any personal belongings on the motorcycle. If you do have anything stowed away on the bike, the company will not be responsible for any damage to that property. Motorcycle shipping companies typically require that your gas tank be only about three-quarters to half-filled in order to prevent spilling during transit. Finding a reputable motorcycle transport company to haul your vehicle is relatively easy these days. At CarShipping.com, you can submit your shipping information and receive free comparison quotes from multiple companies. 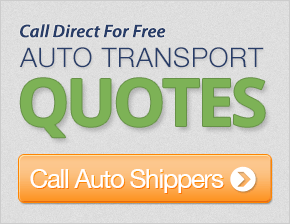 Use these quotes to find the shipper that offers you the best value. Keep the following tips in mind when selecting a vendor. The costs to ship your motorcycle can vary depending in the distance you want it shipped, and the kind of carrier you choose. Open carriers for instance are less expensive, but remember your bike will be exposed to road and weather conditions. Cheapest is not always the best. Sometimes you might be tempted to choose a motorcycle shipping company simply because it offers the lowest rates. Always check to see if there are any hidden costs attached to those prices. Always check to see if your motorcycle carrier is licensed and insured to transport vehicles. Sometimes bikes can get damaged in transit. If your carrier is not insured you will get stuck with the costs of repairs. Check to see whether you need to pick your vehicle up personally at the destination, or if you can designate an agent to pick it up for you. Find out how much the carrier will charge on storage fees if you are unable to pick up the vehicle on the scheduled date. A motorcycle is a valuable asset. Make sure you entrust it in the hands of a reliable motorcycle shipping company when you want it transported to a new location.